There has been a lot of media coverage regarding the superannuation law changes proposed in the recent federal Budget. There is even the suggestion that the government was “punished” in the recent election as a result of these proposed changes. But is all the hype warranted or is it based on ignorance? In my view, much of the media coverage has been based on emotional hype, tugging on the heart strings that the government is somehow taking money off struggling pensioners. But if we delve into exactly what is being proposed, that’s not entirely the case. Much has been made of the move to limit the amount of money a retiree can have in superannuation to $1.6m and pay no tax when in pension phase. The hype around this, in my opinion, is absolute codswallop. According to ATO statistics, the average size of a self-managed super fund (SMSF) is around $1m and consists of two members – usually this is your average “mum and dad” super fund. This means the average individual SMSF balance is around $500k – a long way short of $1.6m. One point that has been lost in all the media hype is the fact that the $1.6m limit is per member, not per fund, meaning an average “mum and dad” joint fund could have $3.2m in it before this change becomes an issue. I suspect the number of joint funds with more than $3.2m in them will not be that high but even for those in that category; the earnings on the $3.2m will still be exempt from tax when in pension phase. It is only the income earned on the excess above the $3.2m fund balance that is taxable and even then it is only taxable at 15 per cent (or 10 per cent for capital gains). Even low income taxpayers earning over $18,200 pay a marginal tax rate of 19 per cent, which is higher than the 15 per cent that someone would pay on a fund balance of over $3.2m. Given that the broad intent of compulsory super is to reduce dependence on the government to fund the age pension, in my opinion, the above mentioned change is not unreasonable. And according to the government’s budget papers, this change should impact only 1 per cent of super fund members. That is not to say that I don’t think the proposed changes will result in some retrospective tax implications. There are bound to be some and those who will be affected will need to obtain professional advice in order to manage this. The move to limit the maximum deductible super contribution limit to $25,000 – down from $35,000 (for those over 50) and $30,000 (for those under 50) is of serious concern to me, primarily because it appears to ignore business owners. Most business owners that I have worked with over the last thirty years invariably reinvest all their available cash back into growing their business; this is in addition to paying off their home loan and educating their children. For most people, the financial pressure of paying off mortgages and Uni fees doesn’t ease until well into their forties. Often, business owners don’t draw a full salary so don’t get the benefit of the 9.5 per cent compulsory superannuation guarantee levy (SGC). It is only by the time they reach their fifties that they are in a financial position to contribute significantly into super and make up for the lack of opportunity in earlier years. The budget papers argue that this change will affect only 3 per cent of super fund members, however, I believe it will impact a significant number of business owners. After all, if the government is going to impose a $1.6m cap on the amount that can be concessionally taxed, why does it matter what the contribution limit is? On the other side of the fence, I applaud the proposed changes to allow “catch up” contributions for unused caps over five years for those with a fund balance of less than $500k. Another proposed change is to limit the maximum amount a member can contribute to the fund and not obtain a tax deduction for. Previously, this was $180k per annum with no cap over your lifetime. In addition, you could “bring forward” up to three years contributions and make one contribution of $540k and repeat this every three years. It is now proposed that there be a lifetime cap of $500k and that this includes all such contributions made, backdated to 2007. There will be no adverse consequences if contributions in excess of the $500k cap have already been made prior to budget night. However, if you have already exceeded the $500k contribution cap prior to budget night, then no further contributions will be allowed. This could result in unforeseen consequences (e.g. if future contributions were to be made in order to clear debt in the super fund). Hopefully the government will consider these implications as part of their “transitional measures”. The government budget papers argue that less than 1% of super fund members will be affected by the change. Once again, I believe the business community has been forgotten about and that a significantly higher number of business owners will be affected. For the reasons mentioned earlier, business owners often reinvest most of their wealth back into growing their business. Over the years I have seen a number of business owners with minimal wealth inside super, albeit that they may have accumulated some wealth outside of super. They will now be denied the opportunity to shift this into super to fund their retirement. In my opinion, much of the hype around the proposed changes has more to do with emotion than logic due to a lack of understanding of the proposed changes. None of the proposed changes in super will affect your average Joe, your average parents or grandparents; however, there could be serious consequences for small business owners. Considering 99.7% of actively trading businesses in Australia are classified as SMEs*, these changes could affect over 2 million business owners, so the media hype is warranted, it’s just directed at the wrong people. 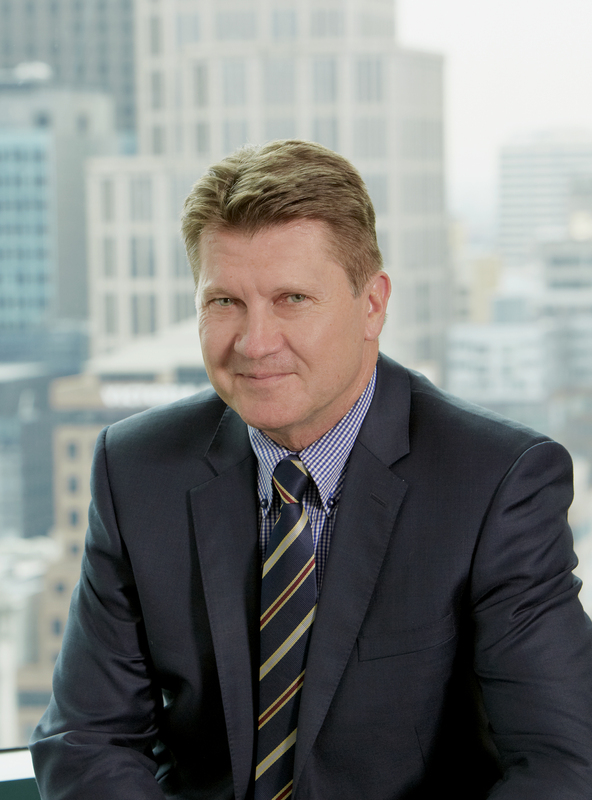 Grant Field is Managing Director of MGI South Queensland and Executive Chairman of MGI Australasia, a global alliance of independent accountants and business advisors. A Management consultant specialising in family and privately-owned business with over 30 years accounting and business development experience, complemented by more than 10 years experience in banking and finance. Grant has assisted many clients with formulating strategic plans, family business succession, improving the financial health of their business, estate planning and business structuring. Grant has shared his expertise in media such as Sky Business News, The Australian, Brisbane Times, Family Business, In the Black, Herald Sun,The Sydney Morning Herald, The Advertiser, Q Radio, Business Spectator, SmartCompany and The Investment Stylist. Is your ‘new financial year’s resolution’ to improve your business health?